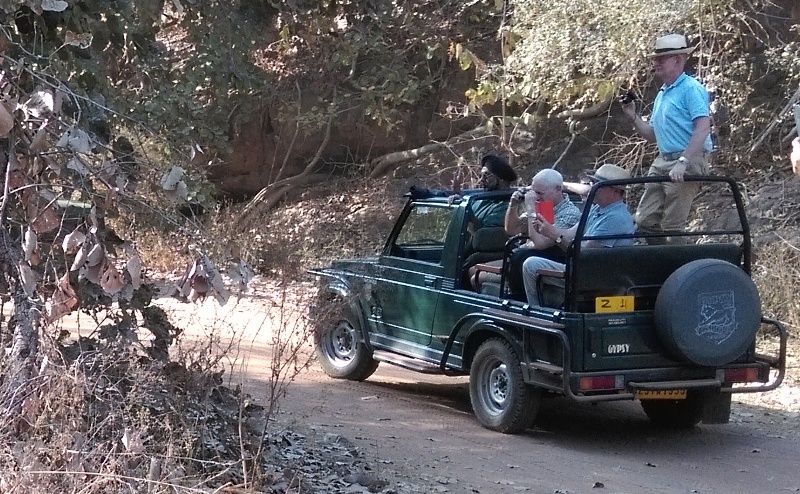 Ranthambore online safari booking is one of the best options to reserve seats in jeep and canter in advance. Ranthambore Advance Online Safari Booking is open for 365 days to visit the park. Visitors can book online safari tickets for Jeep and Canter a year ago to explore different kinds of wildlife during the jungle safari in Ranthambore National Park. Ranthambore jungle Safari booking is fully administered and managed by Forest Department officials. We provide online safari booking service for all zones of the Ranthambore National park. Ranthambore Tiger Reserve (RTR) divided into 10 different safari zones or routes, and in all zones Jungle safari tour is organized by the Forest department (Government of India).Under the advance online safari booking of 365 days from Safari date in Ranthambore National Park, we also have the opportunity to choose the preferred safari zone in Ranthambore which depends on the availability at the time of booking. Although all the safari zones in the park are very good and all the safari zones have tiger areas, although the sight of tiger in the wildlife sanctuary is a matter of chance and is completely dependent on luck. If you want to start the adventurous journey to see wildlife in Ranthambore then the forest safari is the only option to explore wild terrain and wild animals and get a unique experience. Jungle Safari in Ranthambore will be an unforgettable wildlife experience, so book your online safari tickets with these below guideline. Let us, Find out all the tips for getting Safari permits in Ranthambore, which is important for advance online safari booking. First of all, we would like to tell you that safari booking in Ranthambore is fully under the controlled and managed by the forest department, which works under the Forest Ministry of Rajasthan State Government. The maximum safari vehicles in each shift for Ranthambore National park visit is limited to 17 Jeeps (6 Seater) and 20 Canter (20 seater), which are allotted by the forest department and all safari vehicles are sent from the roster system to the park. Advance booking is allowed for Safari through online process which starts 365 days before the Safari date. To book safari tickets on same day, safari can be booked by visiting to the official booking counter at Ranthambore. Ranthambore Safari Booking counter opens at least one hour before the safari time of the Park. However, advance online booking or counter booking on the same day is subject to availability. Jungle safaris can be enjoyed at Ranthambore National Park, and in the monsoon season the park is closed for tourists, although some park zones in which the zone 6 to 10 are included , also remaining open in the monsoon season that from July to September. Generically, most safari seats are already booked through advance online booking in Jeep and Canter. Therefore, before you visit to Ranthambore National Park, it is advisable to book your safari ticket in advance. You can make online safari booking for Ranthambore national Park at most 365 days in advance. At the time of online safari booking in Ranthambore National Park, you must provide the full name (as mentioned on the ID card) and the photo ID number and scan copy of ID for each visitor. During Jungle Safari in Ranthambore National Park, you will have to carry same original photo ID, which you provided for advance online safari booking. At the time of entry into the park, the forest officer may check your original photo identity card and you will have to show the original photo identity card as proof. As a photo ID proof for Indian citizens - Passport / driving license / PAN card / voter ID / Aadhaar card / school ID or any other government ID is admissible for online Safari booking. For online booking in Ranthambore National Park, the foreign nationals have to provide their full name (as per mentioned in passport), passport number and scan copy of passport of each visitors as photo ID proof. To book online safari in Ranthambore National Park, you will need to provide your safari date, safari time (morning / afternoon), safari vehicle (jeep / canter) and your boarding place (i.e. hotel/Resort name) in Ranthambore. To confirm the safari booking, you will have to pay full advance amount to the Forest Department which includes park permit fee, vehicle permit fees, vehicle seat charges and forest guide fees. The confirmed jungle safari booking in Ranthambore National Park is fully non-refundable, non-transferable and non-negotiable in any circumstances. Only those vehicles (Jeep / Canters) are allowed to enter the park for Jungle safari, which are registered with the forest department. Therefore, in any situation no private vehicles are permitted for jungle safari in the Tiger Reserve. At the time of advance online safari booking, visitors can choose the safari zone based on availability, while the Safari vehicle and guide are allocated from roster system by the forest department while collecting boarding passes. There are 10 safari zones to visit the Ranthambore Tiger Reserve. Once the safari zone allocated by the forest department can't be changed normally, but upon making special requests and as per the Forest Department rules, by paying an additional payment of Rs.1000, the safari zone can be changed on the basis of availability. The conscience of changing the safari zone is entirely on the park officials. If visitors are not able to book online safari for Ranthambore National park, there is an option to book the jungle safari at the Ranthambhore safari booking office. In this case, the safari zones are allocated by the forest department as per availability. 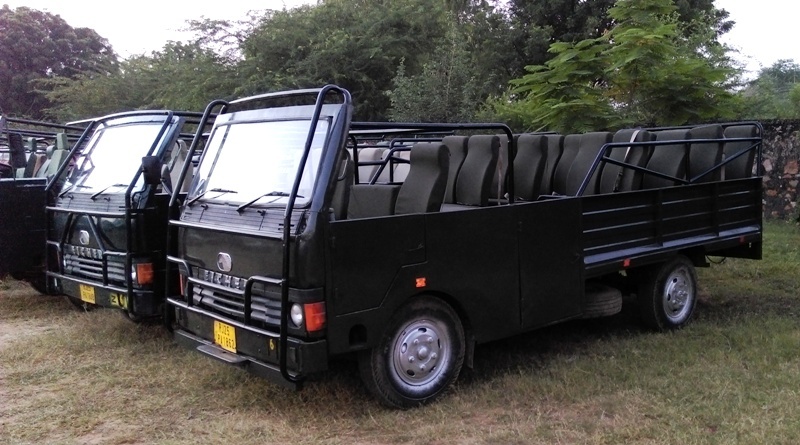 There are limited safaris vehicles are allowed into the park by the forest department. Jungle safari tour is the main attraction of Ranthambore and is one of the most popular options to praise the beautiful landscape in Ranthambore national Park.